You’ve heard of the 12 days of Christmas? Well, let Travellargefamily introduce you to the 14 days of Valentine. February is the month of love, n’est ce pas? It must be because Valentine’s Day, the Holiday of Love, falls smack dab in the middle of it. But it is also the month of depression for people who feel the pressure. That doesn’t sound very LOVEly. The pressure to be madly in love on Valentine’s Day. Message received. 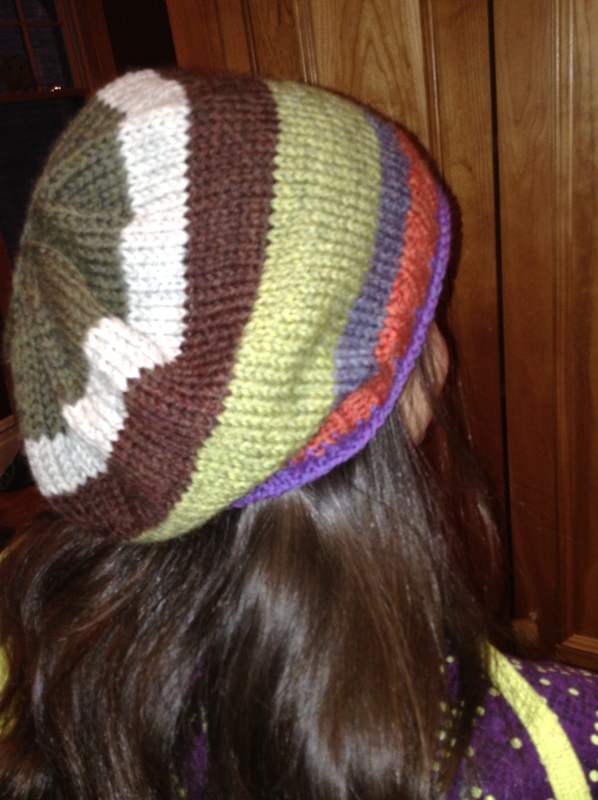 When we came back in October, I embarked on a project to knit a hat for each couchsurfing family we stayed with. To keep things manageable, I am sending one hat per household – to my main contact person. Since we stayed with some of these people almost a year ago, I’ll wager that they will be truly surprised to get our packages in the mail. The first couchsurfing family that hosted us, took us in for Easter Weekend 2014. 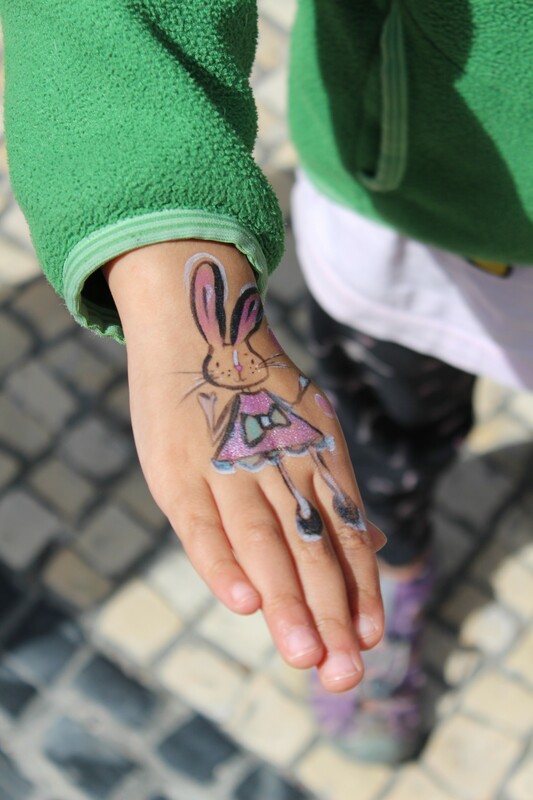 Easter is a BIG deal in Portugal so we were touched. At this point, our couchsurfing profile was almost a blank page. It consisted of the description we had written ourselves, a recommendation from the lone couchsurfer we had hosted before we left and a friend link to the person who had told me about couchsurfing. Luckily, that person had stayed with this family in Porto and had sent them an email asking them to consider hosting us. 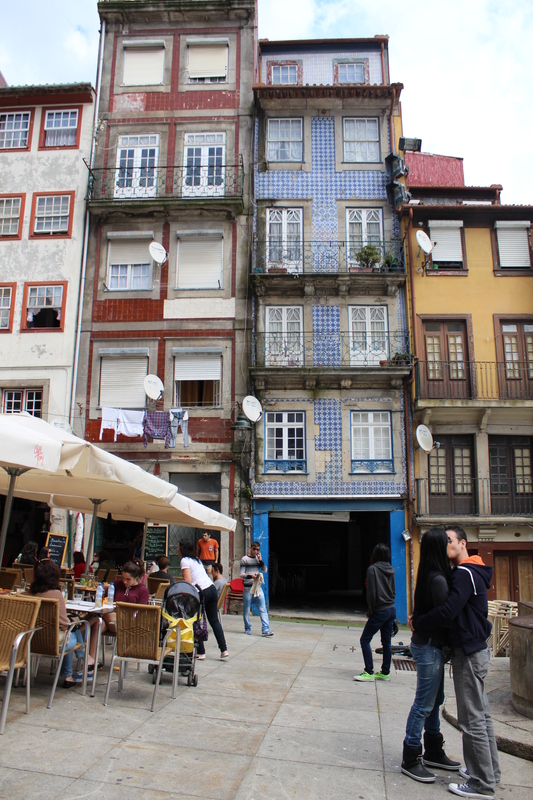 In Porto, we met a mother, father, daughter who handed us a key to their front door when we arrived and did everything they possibly could be make our lives easy and good. They baked us a delicious deep-dish apple pie, shared veggies from the organic market, and recommended places to visit in Porto. They made it clear that we would be welcome to have dinner with them but that if we were having a great time downtown, we should just stay and not feel guilty about not coming back. With our key, we could come home anytime. The only thing to concern ourselves with was to make sure not to let the cats out of the apartment. 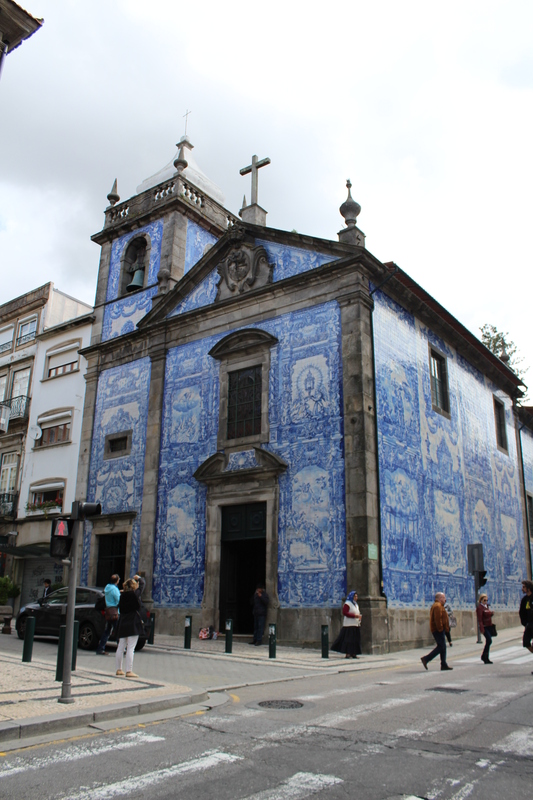 We wandered all over Porto admiring the “azuelos” (blue and white ceramic tile murals). This family gave us so much but the one thing that made the most difference to us was that they agreed to take us at all. They had decided to take a break from couchsurfing while the mother went back to school full-time. And they had very strict rules about only accepting people with a lot of couchsurfing experience and references. Luckily for us, they made an exception based solely on the strong friendship they had forged with our common link – the person who told me about couchsurfing. The fact that they accepted us and made couchsurfing fun and comfortable, converted us to something we never in a million years thought would work for us. Because they wrote us a lovely reference, all the other magical doors of our trip opened. 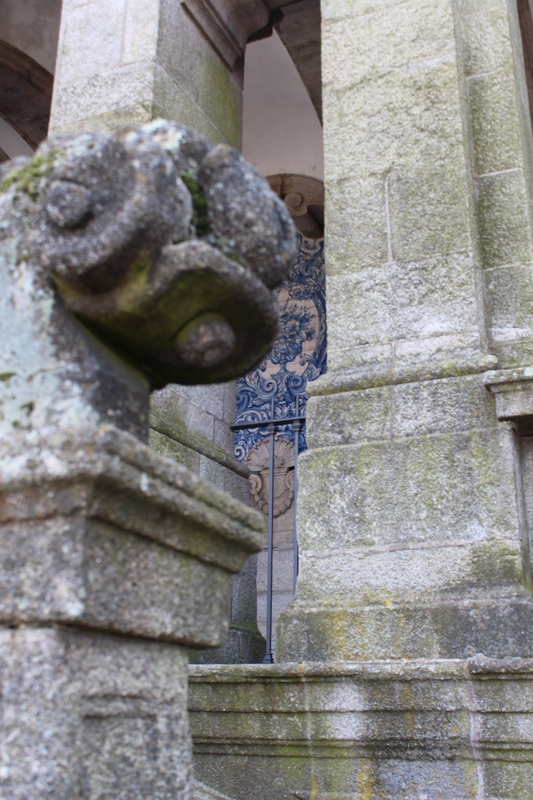 Gorgeous details everywhere you look in Porto. The lady of the house is a professional storyteller and a wicked good cook. I made this hat for her because I think it suits her colourful and fun personality. The hat is an adaptation of the “Binary Hat” by Erika Barcott. You can find the pattern on Ravelry if you are a member of this free knitting site or at Barcott’s website Redshirt Knitting. I knit it in Cascades 220 wool on 5 mm (US 8) needles. A slouchy, stripy hat in Cascades 220 wool. You have inspired me to take on the 14 days of February. What a great way to get through it. Thanks.